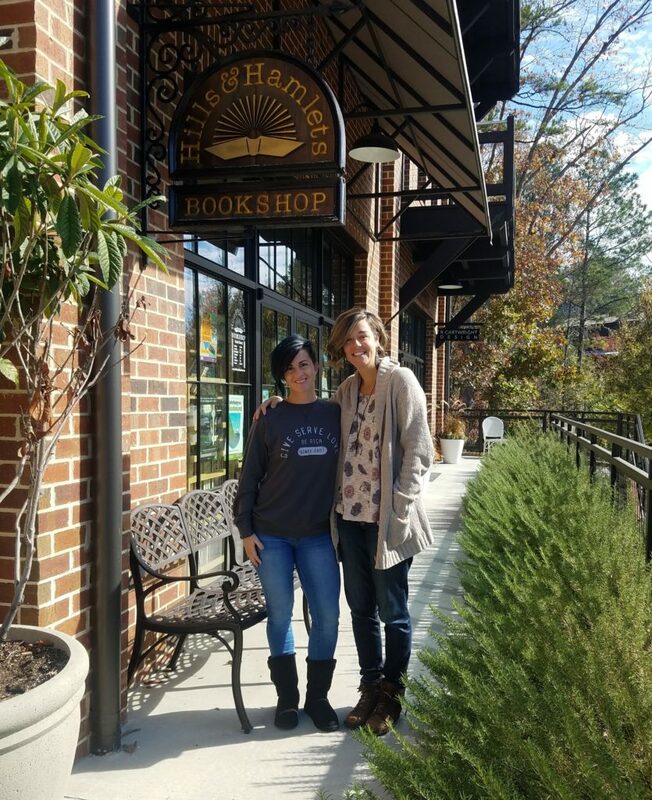 My friend and Blog Tour buddy Steen Jones told me about an independent bookstore in Serenbe called Hills and Hamlets Bookshop and we had to go and check it out. Welcoming us before we walked in was an antique typewriter with an open sign on it and a shelf of books for the sidewalk shoppers. Luckily for us the owner Josh Niesse was in the store, and while I know you shouldn’t judge a book by it’s cover (just kidding you totally should), I could tell right away that I would bet my life on a book recommendation from this guy. 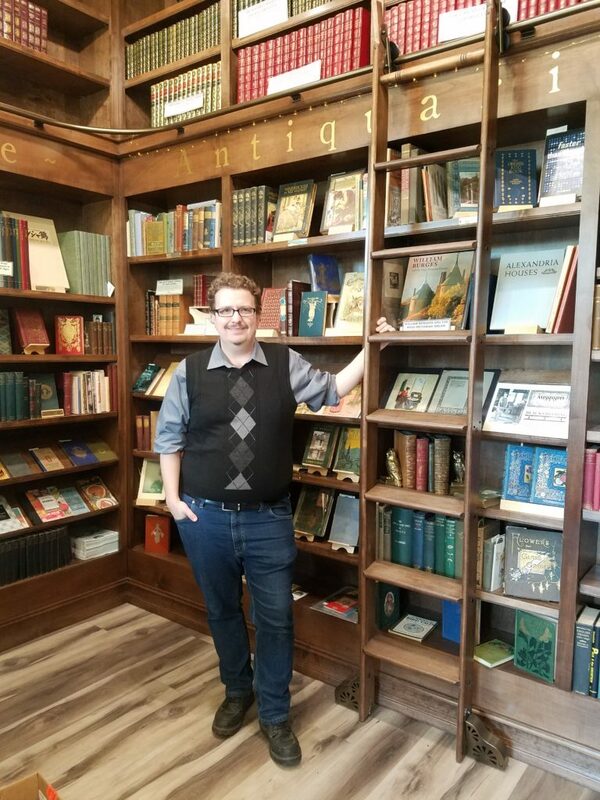 He was exactly what you would want your indy bookstore owner to look like: Smart and Bookish. 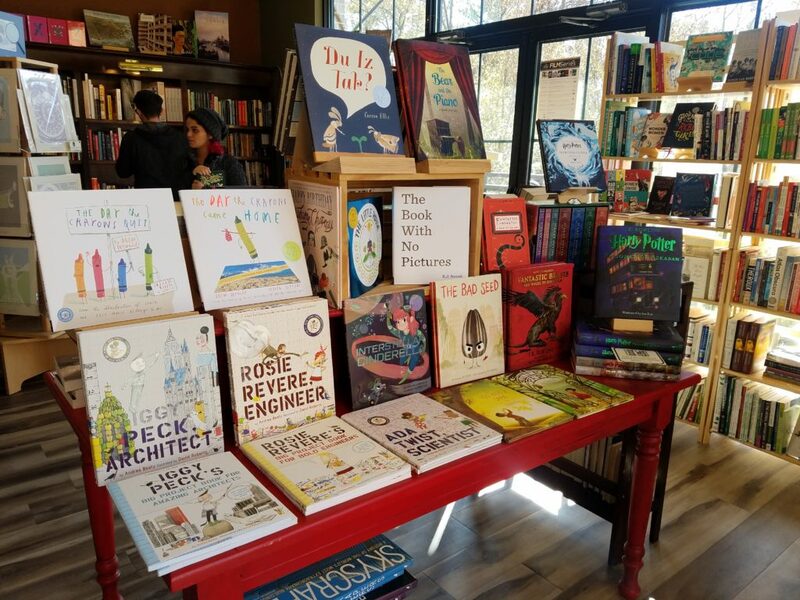 Lucky for me AGAIN was that there was a front and center display of PICTURE BOOKS. Squeal! Apparently we had visited during Book Fair week for the local schools and so picture books were everywhere! The latest and greatest. I fought off the urge to park my backside on the floor and inhale all of the pages because there was so much more to see. The layout of the store fit the space very well and the bookshelves were conveniently organized by topic and interest. There were also inviting chairs and little nooks spaced around encouraging you to peruse in pleasure and comfort. Two of my most favorite sections were right next to each other. 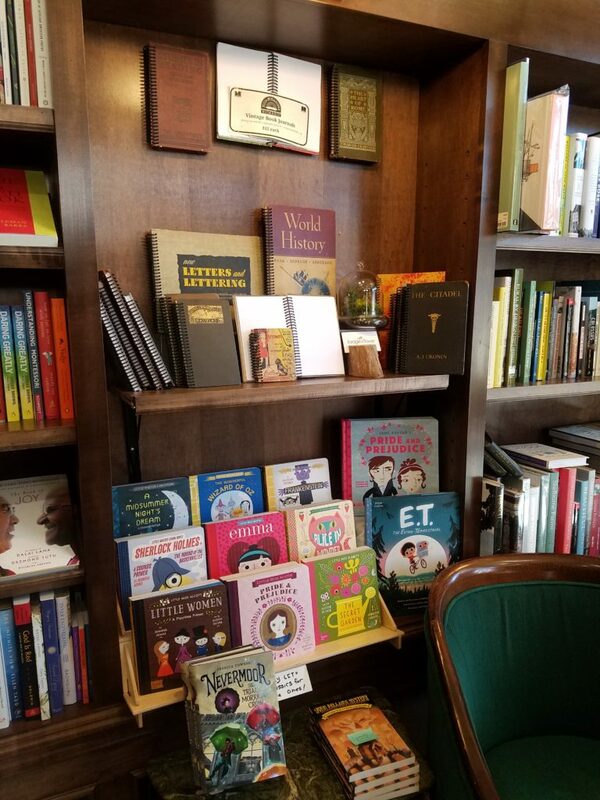 One displayed board and picture books of classic stories such as Pride and Prejudice, A Midsummer Night’s Dream and even a Spanish primer of Don Quixote. Swoon! Just above those delicious books were handmade Vintage Book Journals. These spiral bound blank page journals were made in the store from old and damaged book covers and even included the occasional page from the original book inside. What a novel idea! And perfect gift idea for a journal junkie like myself. In our house on Christmas Eve we have a tradition that my kids get a new pajamas and a new book to open so I took the opportunity to cross one kiddo off of my list by nabbing a copy of Goodnight Stories for Rebel Girls. We thanked Josh for his hospitality and asked if there was anything he suggest we not miss during our visit to Serenbe. He told us to cross over the footbridge to look at some of the homes and I’m telling you- the man knows what he is talking about. 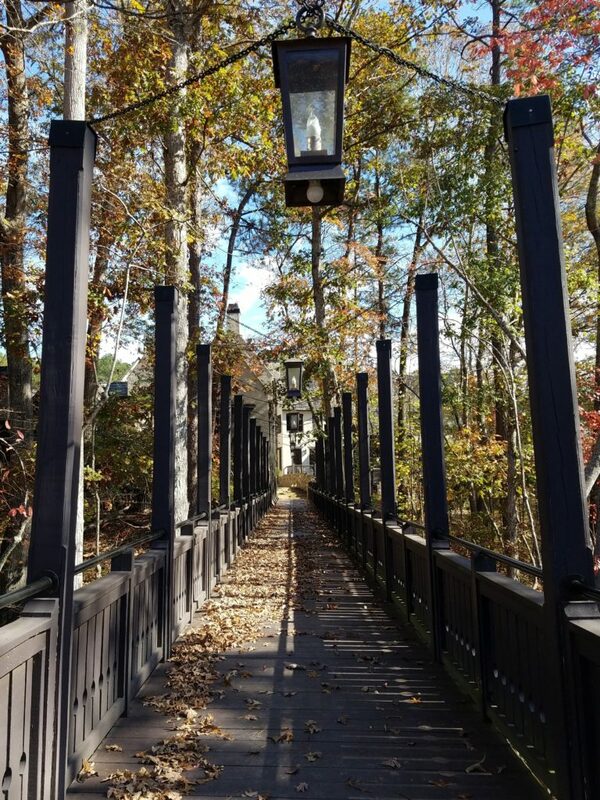 We crossed the picturesque footbridge and ended up in London I’m sure of it because there were cobblestone streets, lit lantern entryways and I immediately began speaking in a British accent. I was a little sad walking back to the car until I saw an in ground trampoline across the way and took the liberty of trying it out! 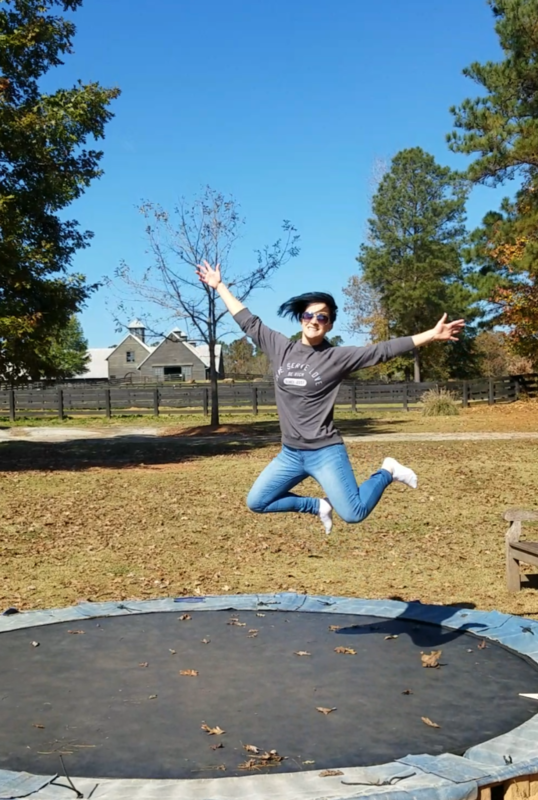 All that book-talk, travelling to London and jumping made me hungry so we set off to find some yummy treats in Serenbe… We didn’t have to go far. 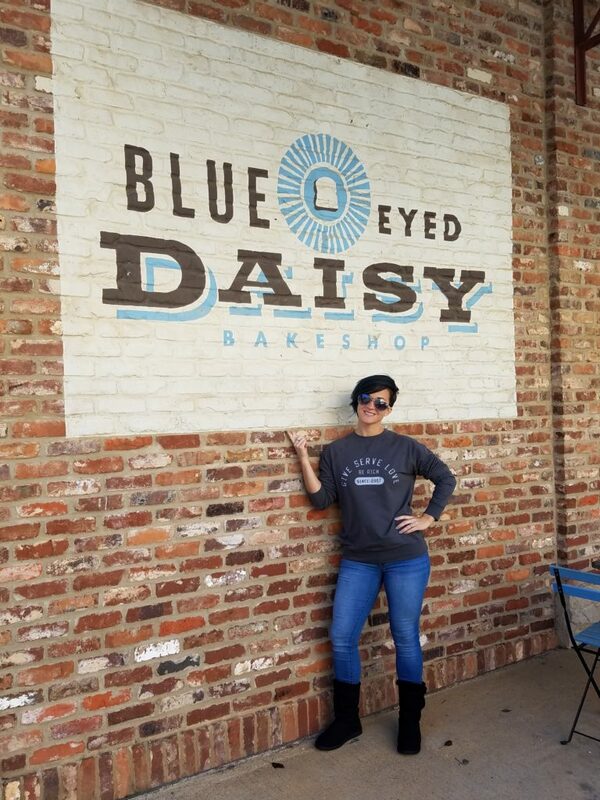 Just about a mile down the road was my new favorite bakery and restaurant: The Blue-Eyed Daisy. You guys don’t even know but I am crazy about daisies and the name of this place alone made me all sorts of happy. The Blue-Eyed Daisy did not disappoint with their assortment of yummy sweet treats but first I had to eat lunch so I ordered the specialty Blue-Eyed Burger and it was quite possibly the best burger I’ve ever put in my mouth. (Burgers are my love language by the way.) For a sweet treat my friend got a colossal rice krispy treat and I ordered a chai tea latte with coconut milk for the road because sometimes I like to drink my dessert. 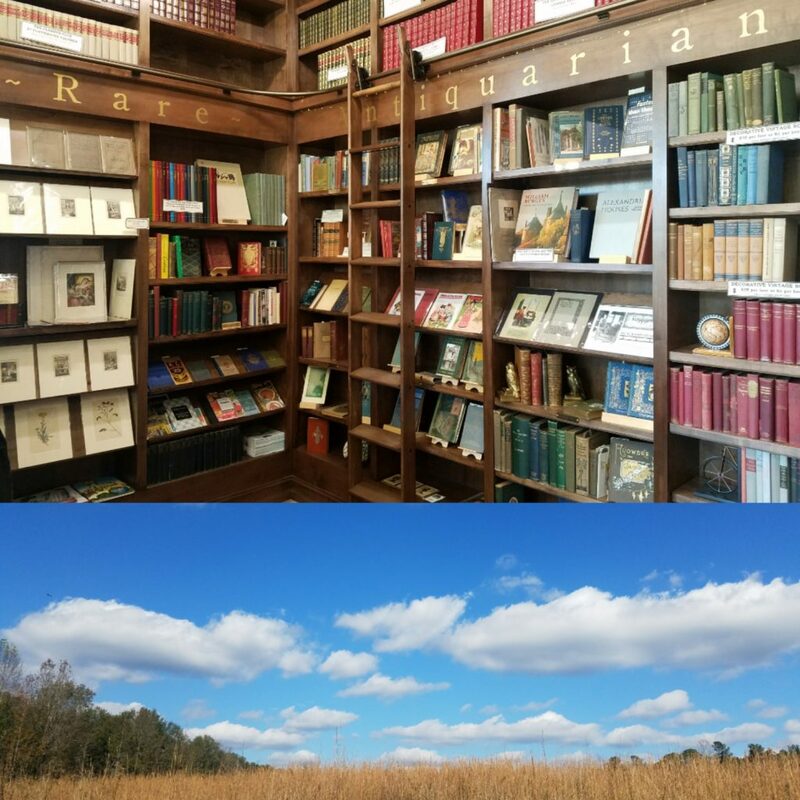 Everything about my trip to Serenbe and Hills and Hamlets Bookshop was absolutely lovely and I am looking forward to going back to visit AND taking a trip to their sister store Underground Books in the future. 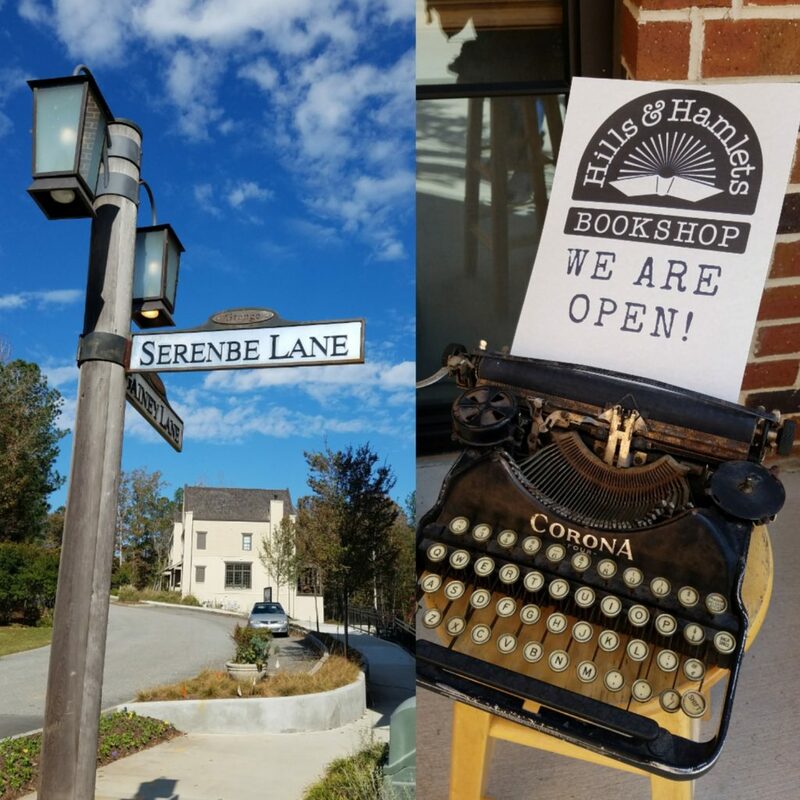 If you are ever in Serenbe (and don’t tell the locals I spilled the secret) you have to visit Hills and Hamlets Bookshop. And it’s ok to tell Josh I said Hi.